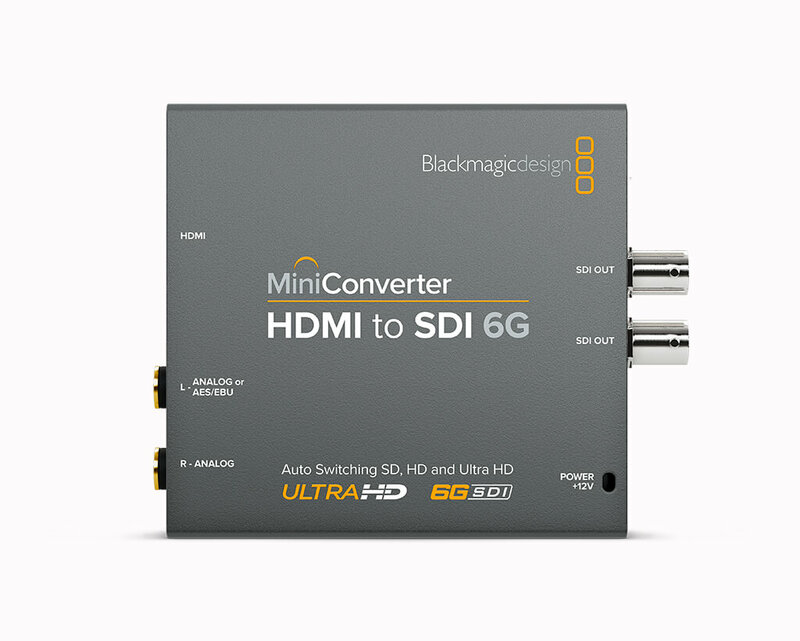 Mini Converter HDMI to SDI 6G includes everything you need to convert from HDMI devices to SDI video in SD, HD and Ultra HD video formats. 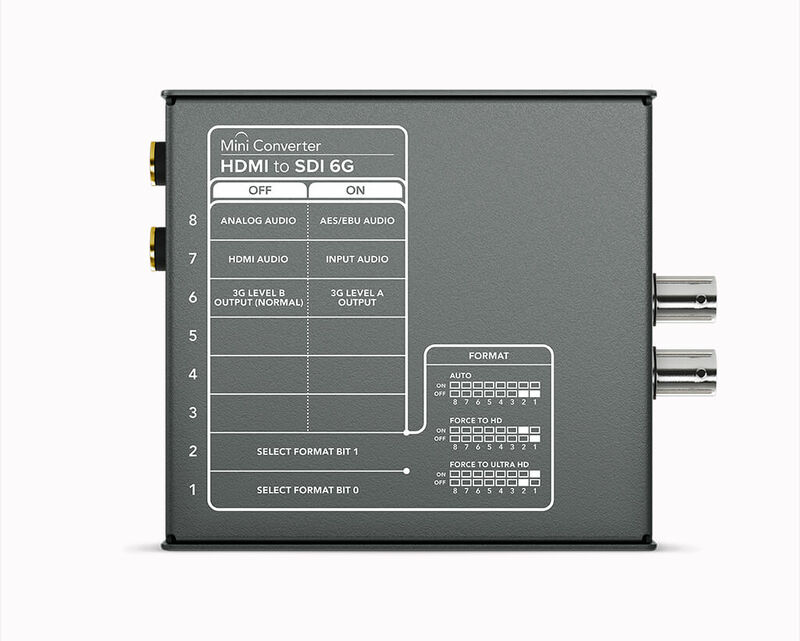 With independent audio connections you can also embed SDI audio from HDMI, AES/EBU or balanced analog audio inputs. 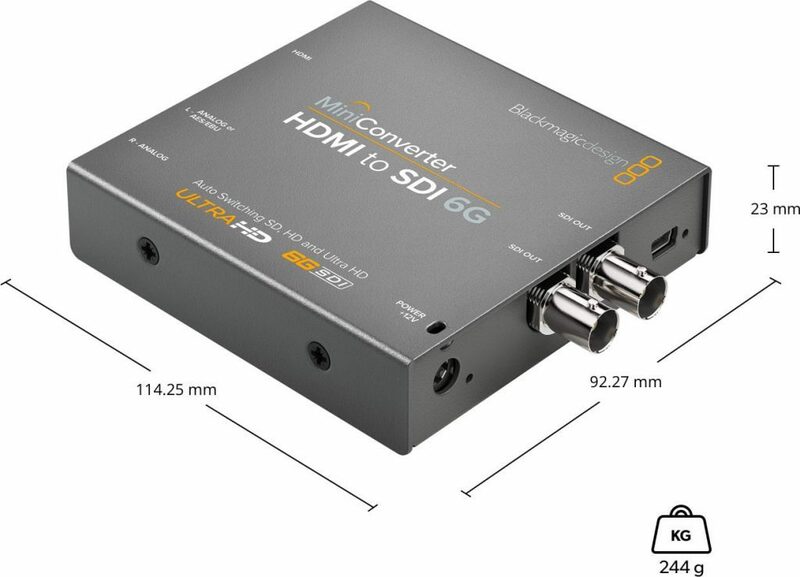 Mini Converter HDMI to SDI is the perfect solution to convert HDMI consumer cameras or computers to broadcast quality SDI! 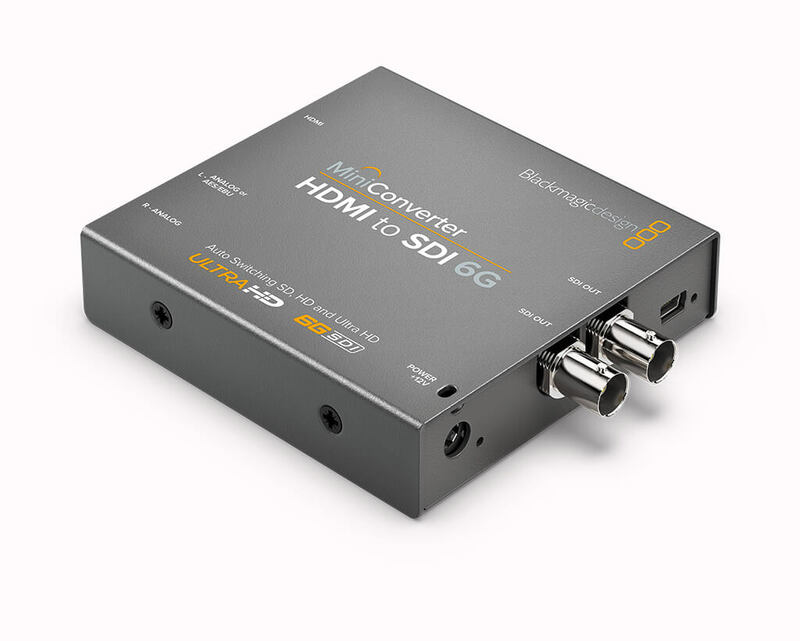 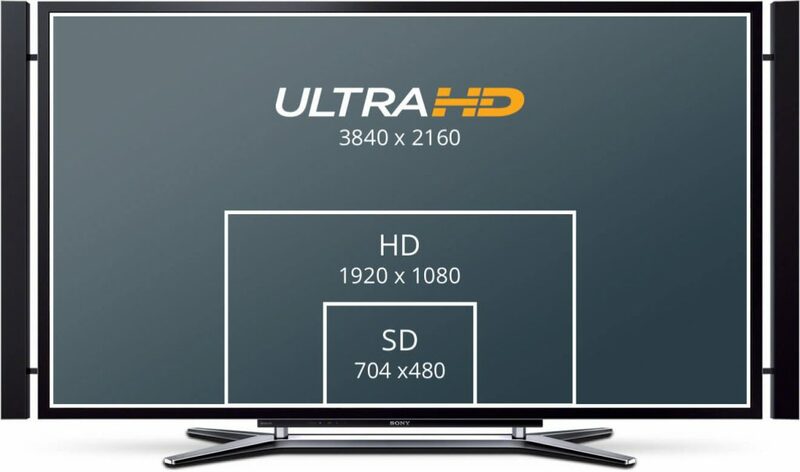 SMPTE 259M, SMPTE 292M, SMPTE 296M, SMPTE 372M, SMPTE 424M, SMPTE 425M Level A or Level B, SMPTE ST-2081, ITU-R BT.656 and ITU-R BT.601.